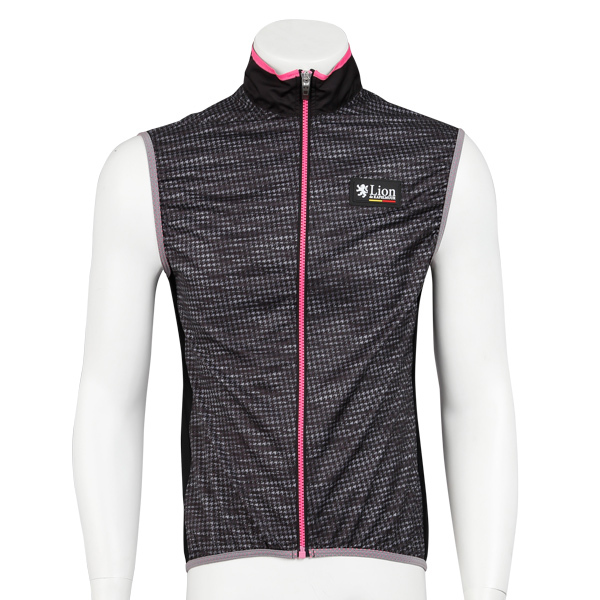 Full-length front zipper(luminous material/fluo color). 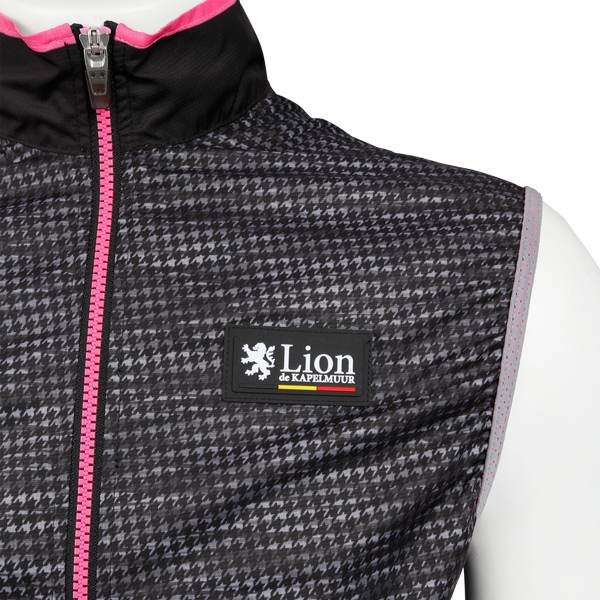 Light reflective KAPELMUUR lion logo. 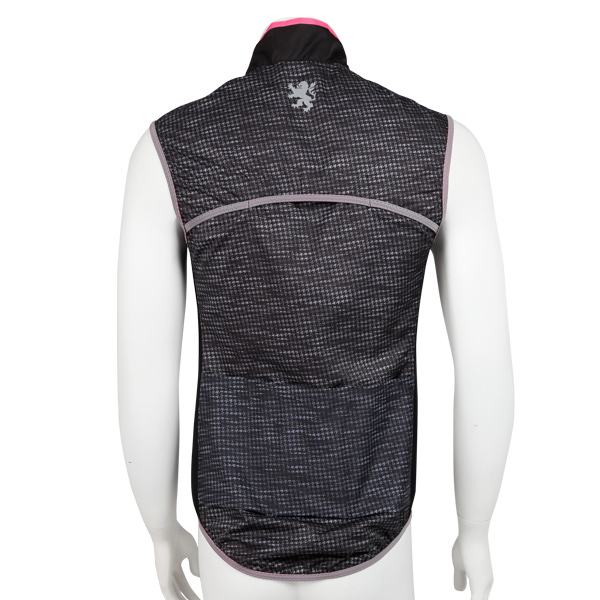 Wind guard/Water repellent wind vest. 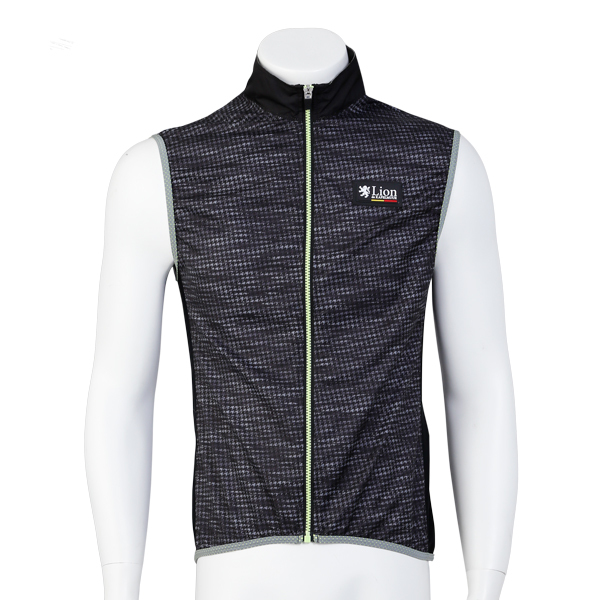 Luminous material fluo color zipper and retro-reflection piping(armhole/hem/rear vent) for safety ride at night. 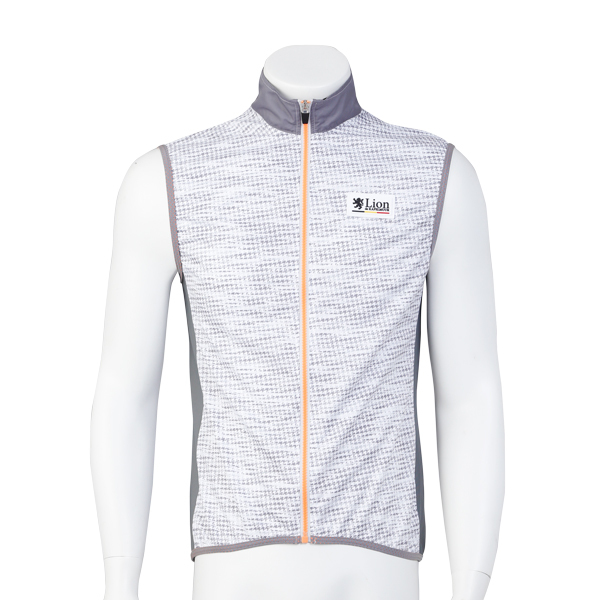 The best gear to keep your core body temperature warm. 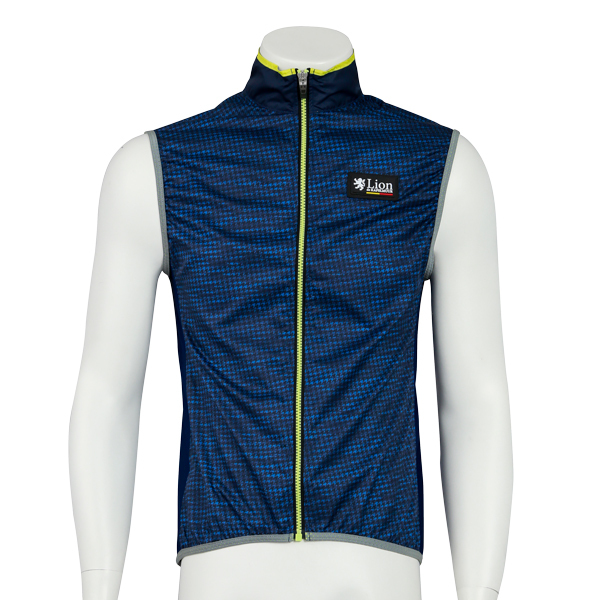 Designed for downhill and cold morning/evening ride. 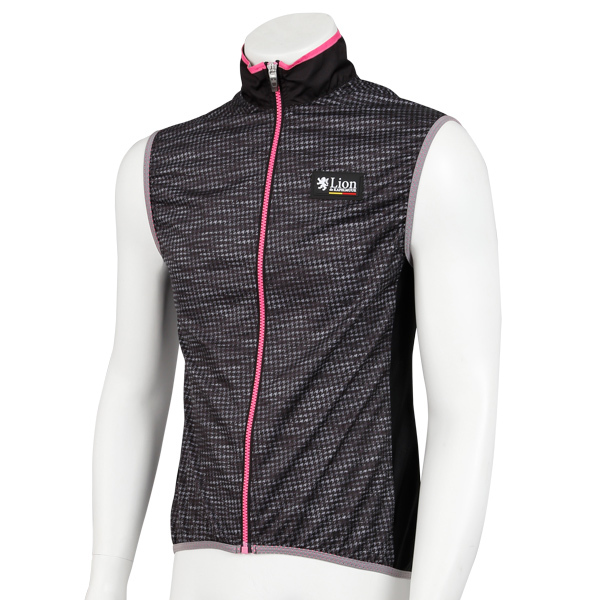 Monotone houndstooth wind vest with a luminous material fluo color zipper. Stylish rubber logo patch on the chest. 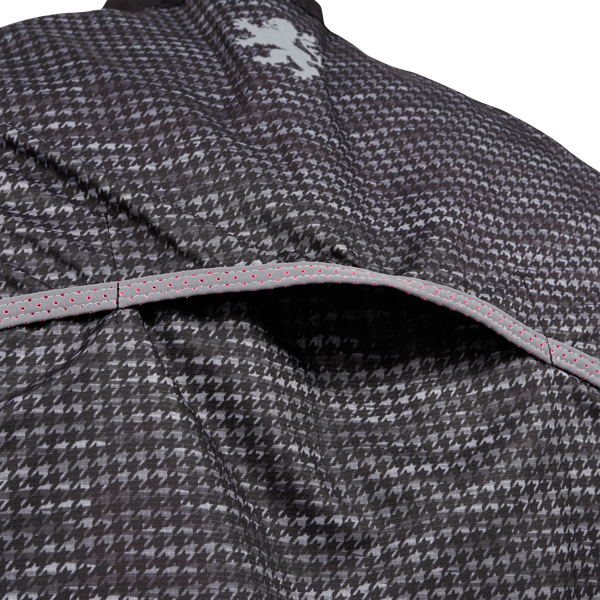 Useful three back pockets on the back.